Official exterior accessories for the Maruti Suzuki Wagon R include grille inserts, fog lamp surrounds, door visors, lower body cladding and more. Official interior accessories include trim (on the door pads, gear console, A/C vents), seat covers, floor mats and more. 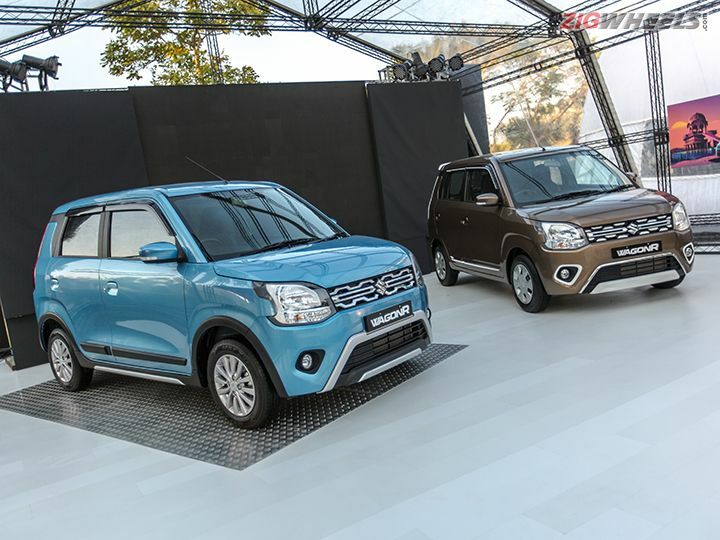 The 2019 Maruti Suzuki WagonR is priced from Rs 4.19 lakh to Rs 5.69 lakh, ex-showroom Delhi. All the specs and features here. Maruti has revealed the official list of accessories for the Wagon R and we have to say it's pretty extensive. From exterior accessories like grille inserts, fog lamp surrounds to interior options like seat covers and floor mats, there are numerous options to choose from. Without further ado, let's take a closer look at what all is on offer. If you don’t want to spend too much time choosing individual accessories, Maruti is offering three preset packages for the WagonR - Robust, Playtime and Casa. We were disappointed that the WagonR was not offered with alloy wheels even on the top of the line ZXI variants, you can get them as accessories though. Also on offer are speakers, head units (for the L and V variants which do not get the new Smartplay touchscreen system), amplifiers and other accessories. You can check out these accessories and more at Maruti Suzuki Arena’s online configurator or at your nearest dealership. What do you think of the available choices? Let us know in the comments below.